Interiors Home is based in Woodhall Spa, Lincolnshire and its owner Teri has a life long passion for home interiors and design. Returning to the village of her childhood after 30 years she has realized her dream of restoring, restyling and reloving vintage furniture and home décor, bringing it firmly into the 21st century. Interiors Home takes inspiration from English, French and Belgian style. All our furniture is sourced locally within Lincolnshire. We are chalk paint stockists for ‘Everlong Chalk Paint’ based in Northumberland and manufactured in the UK. We offer chalk paint classes in the shop on a regular basis and a bespoke furniture painting service. We are dedicated to working closely with other small UK business, supporting the growth of British creativity and design, both in Lincolnshire and nationwide. Interiors Home are proud to stock products from, S&A Floral Designs, St.Eval Candles, LapageMade and more. In addition to the shop, Interiors Home offer a unique room styling service to help you create a new look within your home as well as advice on how to present your property to sell. For any enquiries or if you would just like to say ‘Hi’, please don’t hesitate to contact us. Woodhall Spa Physiotherapy & Sports Injuries Clinic is part of the wider Lincolnshire Physiotherapy & Sports Injuries Clinic Group. This is a our 8th practice in the Lincolnshire area. We are a friendly and approachable team with a passion to keep your pet happy and healthy. Our surgery is well equipped with digital x-ray, ultrasound, in-house laboratory and above all caring staff to provide excellent support for your pet. If your pet would prefer a visit at home we are happy to arrange this for you and ​we provide our own out-of-hours service to ensure that there is a familiar face when you need it most. What do you think about the applications to build hundreds of new houses in Woodhall Spa? I think the community of Woodhall Spa accepts that growth and development is both necessary and indeed desirable. But, this must be controlled so Woodhall is not destroyed by greedy developers who will build wherever they can to make money, without any thought for the damage they are causing to the community of Woodhall. ELDC’s 15 year plan has a “target” of some 300 houses to be built in Woodhall. But, this is misleading, it is not a target it is a minimum – there is no upper limit. This no upper limit policy will result in a fast uncontrolled expansion of Woodhall. Causing an irreversible change to the village; and, an infrastructure (ie schools, doctors, etc.) that will be overwhelmed. If we all get involved and take action, we stand a good chance as a community of defending our village. If you’d like to help with this campaign please send me a message or email. Woodhall Spa’s 1940s festival attracted a record number of visitors this weekend – double the figure of 20,000 predicted just last week. Just five years in, the success of the 2016 event has now secured the festival’s reputation as one of the region’s most popular and unique fixtures. 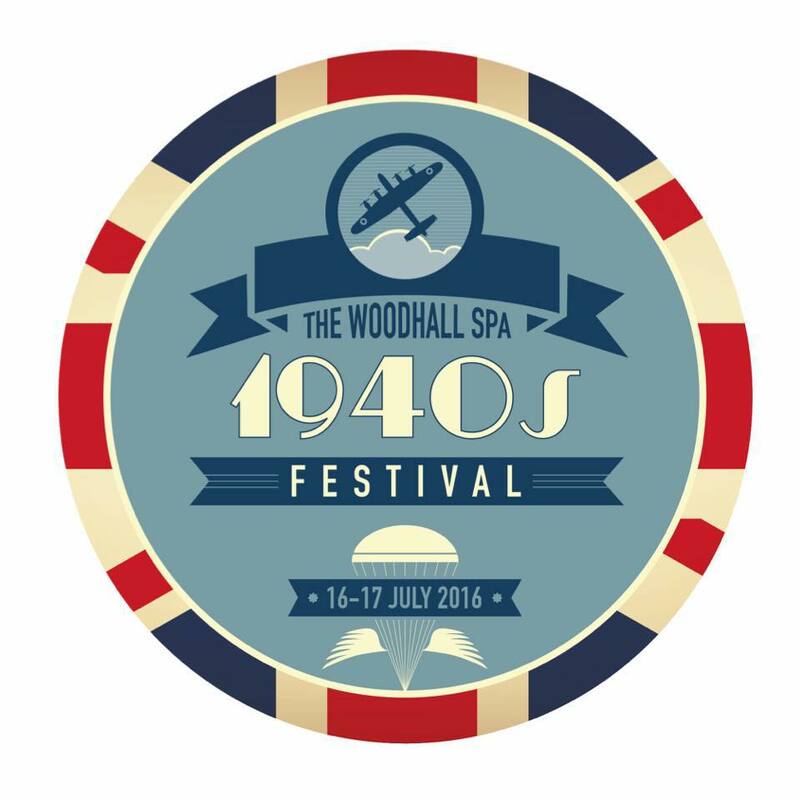 An estimated 40,000 people attended this weekend’s Woodhall Spa 1940s Festival, which was this year sponsored by the Petwood Hotel and the The Golf Hotel & Aqua Sante Spa – Woodhall (with additional support The INN at Woodhall Spa and Woodhall Country Park. Feedback on social media suggests it has been an overwhelming triumph and many visitors have vowed to return next year. The streets, venues, cafes, parks, squares, bars, hotels, halls and restaurants were packed all weekend long with those who wanted to celebrate life on the British Homefront in a beautiful Lincolnshire village. The choice of over 80 free festival events, range of food and drink stalls and exciting living history exhibits – not to mention the glorious weather – meant many came and stayed to enjoy everything on offer. Comments by visitors on the festival’s Facebook page now run into the thousands, with the vast majority praising the quality, variety, efficiency, atmosphere, organisation and friendliness of the volunteer run and free-to-attend festival. 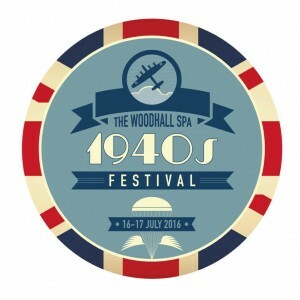 Leader of East Lindsey District Council Councillor Craig Leyland, also offered some supportive comments, saying today: “I’d like to congratulate the organisers of the Woodhall Spa 1940s Festival. It has been the biggest and best festival yet. This weekend has been a massive success thanks to the many hours of work put in by the committee, but also the warm welcome offered by Woodhall Spa’s residents. It’s really something for us all to be proud of”. It wasn’t just the mercury that soared high this weekend. After many months out of action, BBMF’s famed (and locally beloved) Lancaster Bomber, affectionately known as Thumper, completed a first test flight over the festival crowd during the Sunday morning of the festival. It even returned later in the afternoon to close the festival’s main proceedings, to much delight. New traffic measures introduced this year were also welcomed by many, but there are some challenges to overcome given the new scale of the event. The closure of Station Road and Broadway – a safety measure new for this year – was met with very positive reviews, and the clear diversion to allow locals to pass through the Village also worked very well. Over 3,000 cars used the new park and ride facilities over the weekend. While many praised the system, there were challenges in getting the shuttle busses through the queue for the car park; further feedback from Woodhall Spa residents suggests that some visitors ignored the parking instructions and parked on residential streets despite restrictions, coning and clear signage. The festival’s committee has vowed to review the provision of parking before any decision is made on an event for 2017. The organising committee wish to thank all visitors, residents, businesses, performers, re-enactors and the festival’s main sponsors The Petwood and The Golf Hotel, and our supporting sponsors The Inn at Woodhall Spa and Woodhall Spa County Park. Elegant and individual French antiques and vintage decorative items,mainly sourced from the beautiful regions of France. Grande to petite items available. Woodhall Spa’s “Twin” village is called Roëzé. pronounced “Wahzay”. The full title is Roeze sur Sarthe and it is about 15 kilometres south-west of Le Mans where the 24hr races are held. There will be an Open Day Event on Friday 26th February from 1.00 – 3.30 p.m. at the housing development at the end of Alexandra Road, which is an ideal opportunity for anyone interested in purchasing a shared ownership home to have a look around. Local businesses are invited to submit 100 words about themselves, supported by one or two photos. Clubs, societies, charitable organisations, schools and churches are offered their own web page that they can update on a monthly basis. This is a free service! Please contact the site administrator for more information. Every reasonable effort is made to ensure that the information on this web site is accurate at the time of publication and is kept up to date. However, Woodhall Spa Parish Council does not warrant its accuracy and disclaims any liability to any third party anywhere in the world for any injury, damage, direct or indirect loss, consequential or economic loss or any other loss suffered as a result of the use or reliance upon the information contained in this web site. The links from this site are provided for information only, and their appearance on this site does not imply endorsement by the Parish Council. These pages, including all text, code and images, are copyright protected. Apart from the logos, images and text used, with the permission of the respective owners, all website design, text, images, graphics, code and content is copyright © of the site administrator - NR Storey on behalf of Woodhall Spa Parish Council.